MacBook Pro Late 2016とAKiTiO Nodeを利用したThunderbolt 3接続eGPUのセットアップ＆ハンズオン動画が公開。 | AAPL Ch. The 2016 MacBook Pro has endured criticism for its lack of I/O ports, but what that it does have — two or four Thunderbolt 3 ports based on your configuration — have lots of potential. 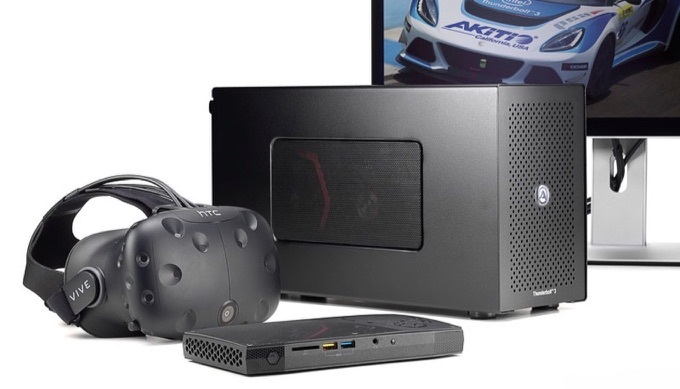 For example, it’s now possible to connect an external GPU (eGPU) box via Thunderbolt 3 and tap into the power offered by a full-sized graphics card.